Truth has been a central concept to Quakers from the outset. We have been regarded by others and ourselves as a people who emphasize truth telling, and much of the very culture and belief system of Friends has fostered a practice of truth. 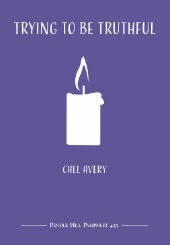 At first, telling the truth or not telling the truth might seem simple, but Chel Avery has peeled back the layers of the human condition to explore the complexities. What is truth? Is it ever desirable to tell less than the whole truth or to lie? What about the white lie? When we avoid telling an unpleasant truth are we protecting another person or ourselves? The Quaker practices of waiting and of care with choosing words, grounded in love, guide us toward a high standard for truth that helps us grow toward wholeness. With a foreword by Shirley Dodson and an editor’s preface by Alison Levie. Discussion questions included.